Think you can live with an unrestricted view of the rooftops of Paris? 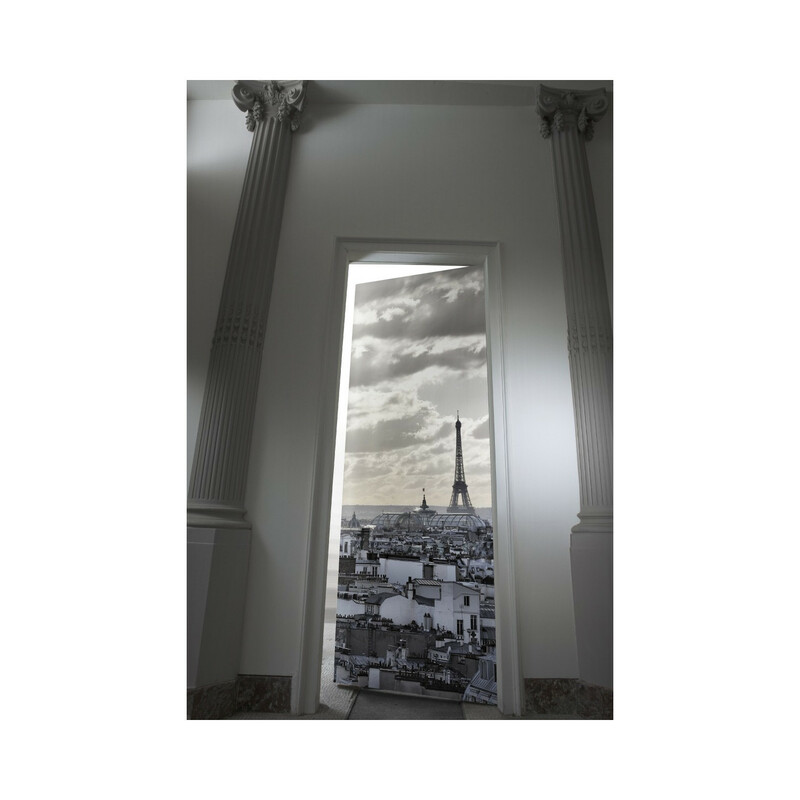 Give your doors and walls a new lease on life with this strikingly realistic perspective view. 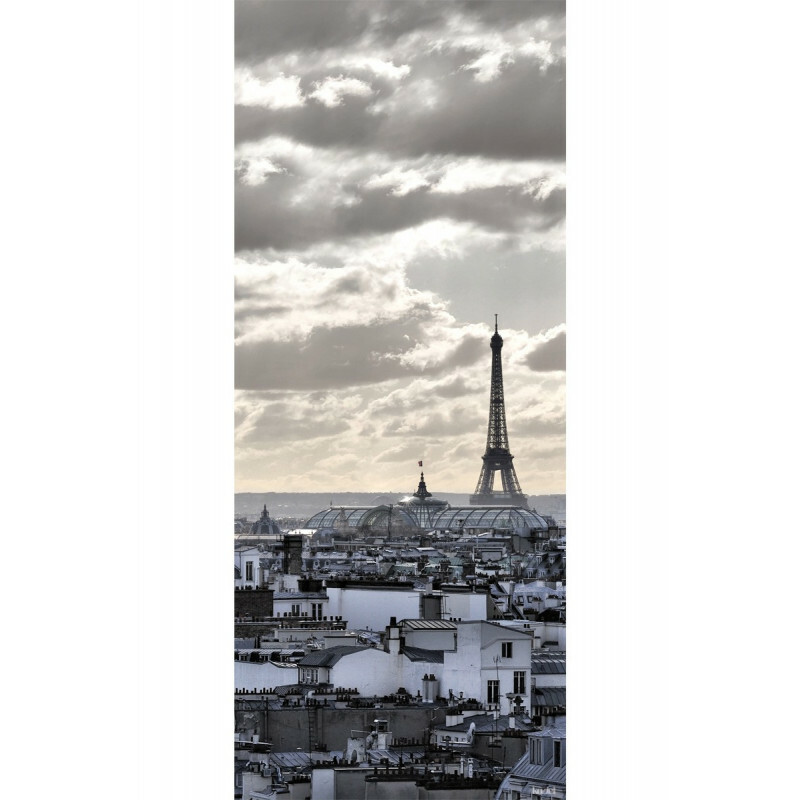 The Eiffel Tower and some clouds,... the whole veiled in a slightly bluish colour! Its appeal is unquestionable. Cut it to your desired dimensions, and decide whether you want to display it like a curtain, or to nail, stick or staple it in place. Treated with an anti-stain coating. Can be machine-washed and ironed. A wonderfully simple but unique idea that can change everything. In a word: Fabulous!. Once up, you’ll never get tired of admiring this wonderful decoration that will leave your guests speechless..